The European Tour does have an event this weekend and although most of Europe’s top golfers will be competing in the US Open Championship, there are some quality golfers on display at the St Omer Open, which will be held at the Dudock Van Heel designed Aa St Omer Golf Club. 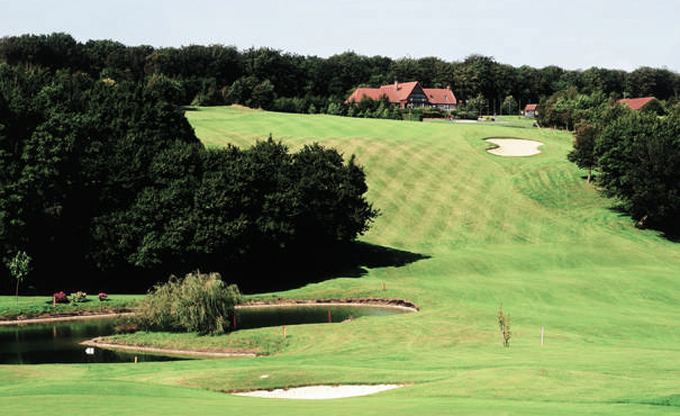 The Championship course opened for play in 1990 and is named after the Aa river that runs along the valley part of this 6,835 yard track, some 25 miles south of Calais in Northern France. Van Heel’s design complements the beautiful natural surroundings it sits in. Nine of the holes run along and across the river valley, so water comes into play on some of the holes. The rise and fall of the land offers some fantastic views of the surrounding countryside. The other nine holes offer a completely different playing environment, these are played through maturing oak and beech trees. Brett Rumford set the course record of 64 (-7) in 2003, which has subsequently been equaled by Jamie Little in 2006 and Christian Nilsson in 2008. As you can tell by the bookies betting odds, with all the top players competing in the US Open and others taking a break, this week’s tournament is wide open and will be hard to predict. But someone who will come into this tournament full of confidence is Eduardo De La Riva 40/1 after his win last week at the Fred Olsen Challenge de España on the Challenge Tour. Eduardo also had a Top 5 finish at the Open de Andalucia. It’s always hard to ignore the defending champion, Matthew Zions 40/1 who will be defending his title here this week. The Australian has only made four cuts this year but did play well in the wind and rain in Wales, but a final round 73 saw him tread-water on the final day. 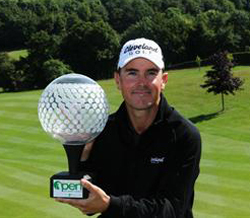 Oliver Wilson 50/1 seems to flourish when the big boys are away, making the Top 5 at the Madeira Islands Open, which was played on the same weekend as the Players Championship, so hopefully that form will repeat its’ self here this week. Things have not gone as planned for David Nixon 70/1 who was a winner here back in 2008. David did have four Top 25 finishes last season and made the Top 10 again at the Madeira Islands Open when all the big guns were at the Players Championship. Another player whose season hasn’t panned out the way he thought it would so far is Seve Benson 66/1. Seve won the Barclays Kenya Open on the Challenge Tour and is another player that could take advantage here this week. This weeks outside bet is Robert Dinwiddie 80/1 anyone who has followed this guide regularly will know we have backed Robert a few times especially in Africa where he always seems to enjoy playing. It’s not been a great year for the Englishman who has been playing in a mixture of European and Challenge Tour events this season.